This article is about the city in West Kalimantan, Indonesia. For the supernatural being from Indonesian folklore, see Pontianak (folklore). For other uses, see Pontianak (disambiguation). The city was formerly the capital of the independent Sultanate of Pontianak and was founded on 23 October 1771 around an old trading station on the Borneo coast. It is built on swampy ground that is subjected to regular flooding by the river, requiring buildings to be constructed on piles to keep them off the ground. Pontianak name refers to a story about ghosts that people in West Kalimantan refer to as Pontianak (a ferocious female ghost in Malay); it was a ghosts' nest until Syarif Abdurrahman Alkadrie and his Army fought and extruded ghosts who attacked his group by shooting cannonballs. He then built a mosque and a palace, exactly on the location of the ghosts' nest, and settled. The mosque and the palace became the first buildings in Pontianak City. To this day, Pontianak people shoot made up cannons from logs every Ramadan and holiday events to pay tribute to the Sultan. Pontianak in the Chinese language is known as 坤甸, pinyin: Kūndiān. While in the local Hakka Chinese, Pontianak is known as Khuntîen. The history of the city of Pontianak written by a Dutch historian, V.J. Verth in his book Borneos Afdeling Wester, whose content is slightly different from the version of the stories circulating in the community today. According to him, the Dutch started to go to Pontianak in 1773 from Batavia. Verth wrote that Syarif Abdurrahman, son of Sharif Hussein bin Ahmed cleric Alqadrie (or in another version called Al Habib Husin), leaving the Kingdom of Mempawah and began to wander. In the region of Banjarmasin, he married the sister of the Sultan of Banjar, Sunan Nata Nature and sworn in as the Prince. He was successful in commerce and accumulate enough capital to arm ships and boats and then he started to take the fight against Dutch colonialism. With the help of Sultan Sand, Syarif Abdurrahman then successfully hijacked Dutch ship near Bangka, also British and French ships in the port of Pasir. Abdurrahman became a rich man and then tried to establish a settlement on an island in the Kapuas River. He found branching Landak River and then to develop the area into a prosperous trading center. This is the region that is now called Pontianak. He then established the Sultanate of Pontianak with himself as the first sultan. The Sultanate imported Chinese laborers in the 18th century to work in gold or tin mines. A number of mining companies (kongsi) enjoyed some political autonomy, As the Dutch were expanding its power on Borneo, in 1777, the Chinese declared the formation of the Lanfang Republic (Chinese: 蘭芳共和國), led by Luo Fangbo to oppose the Dutch attempt to colonize West Kalimantan, including Pontianak. The settlers subsequently elected Luo as their inaugural president. Luo implemented many democratic principles, including the idea that all matters of state must involve the consultation of the republic's citizenry. He also created a comprehensive set of executive, legislative, and judicial agencies. The Republic did not have a standing military, but had a defense ministry that administered a national militia based on conscription. During peacetime, the populace mostly engaged in farming, production, trading, and mining. Lanfang's administrative divisions included three tiers (province, prefecture, and county) with the people electing leaders for all levels. Lanfang was allied with Sultan Abdurrahman of the Pontianak Sultanate. Lanfang was also declared a tributary state of the Chinese Qing Empire. In 1778, Dutch colonialists from Batavia entered Pontianak, led by Willem Ardinpola. Netherlands when it occupies an area opposite the imperial palace now known as the Tanah Seribu or the Verkendepaal area. On July 5, 1779, the Netherlands made an agreement with the Sultanate of Pontianak regarding the Verkendepaal so that it to serve the area of activities of the Dutch nation which later became the seat of government Resident het Hoofd Westeraffieling van Borneo (Regional Head residency of Borneo West) and Assistant Resident het Hoofd der Affleeling van Pontianak ( Resident assistant Chief of Pontianak regency). This area then became Controleur Onderafdeeling van het Hoofd Hoofd Pontianak or Plaatselijk Bestuur van Pontianak. Assistant Resident het Hoofd van der Afdeeling Pontianak (Pontianak Regent sort of) set Plaatselijk Fonds. The agency manages eigendom or government wealth and take care of tax funds. Due to being outnumbered and lack of effective weaponry by the more superior and equipped Royal Netherlands East Indies Army, Lanfang finally surrendered to the Dutch in 1884 and was dissolved. Wary of Qing intervention, the Dutch did not openly annex the Lanfang Republic, and created another puppet regime. It was not until 1912, when the Qing Dynasty collapsed, that the Dutch proclaimed their occupation. Pontianak was then designated as the Residentie Westerafdeeling van Borneo, one of the different residencies of the Dutch East Indies. In 1942, the Japanese occupied Pontianak and expelled the Dutch. The Japanese military government decided to allow the Pontianak Sultanate to remain. However, the Japanese soon become distrusted to the Sultanate, and between 1943-1944, the Japanese orchestrated a mass arrest of Malay elites, Arabs, Chinese, Javanese, Menadonese, Dayaks, Bugis, Bataks, Minangkabau, Dutch, Indians, and Eurasians in Kalimantan, including all of the Malay Sultans, accused them of plotting to overthrow Japanese rule, and then massacred them. This is known as the Pontianak massacre. After the Japanese surrendered, the Dutch returned to Pontianak. Due to international opposition to Dutch attempts to reinstate control over Indonesia in the United Nations, the Dutch were forced to recognise Sukarno's Republic as the de facto government of Java and Sumatra and to grant independence to a Republic of the United States of Indonesia (RUSI) on 27 December 1949. 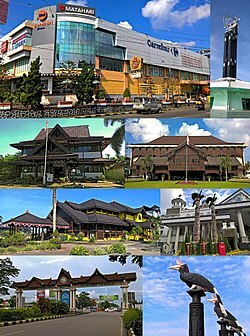 Pontianak becomes the capital of the State of West Kalimantan, one of the federal states of the United States of Indonesia. It was led by Sultan Hamid II, the last sultan of the Pontianak Sultanate. However, Hamid II was accused of conspiring with the former KNIL Captain Raymond Westerling to organise an anti-Republican coup in Bandung and Jakarta. Hamid's role in the coup led to increased agitation in West Kalimantan for its integration into the Republic of Indonesia. Following a fact-finding mission by the Government Commission, the RUSI House of Representatives voted by fifty votes to one to merge West Kalimantan into the Republic of Indonesia. Following clashes with demobilised KNIL troops in Makassar and the attempted secession of an Ambonese Republic of South Moluccas, the federal United States of Indonesia was dissolved on 17 August 1950, turning Indonesia into a unitary state dominated by the central government in Jakarta. Pontianak becomes the capital city of the new province of West Kalimantan. Pontianak lies on the Equator track with a height ranging from 0.1 to 1.5 meters above sea level. Cities are separated by the Kapuas Besar River, Kapuas Kecil River and Landak River. Thus Pontianak city is divided into three parts. Pontianak is located in the delta of the Kapuas River with a relatively flat conturtopographic with a ground level elevation ranging from 0.1 to 1.9 meters above sea level. Almost the entire area of Pontianak City and surrounding areas within a radius of 19 km of estuary river estuary lies in the lowlands which on average the height of the land is 1–2 meters above sea level and less than 2%. The geological conditions in Pontianak City fall into the category of peneplant and alluvial sediments that are physically a clay type. This type of soil is in the form of peat and silt deposits of Kapuas river. Under these conditions, the soil is very unstable and has a very low carrying capacity. The soil composition along the river is formed from a precipitation process that produces a tropaquent area coupled with tropofluevent and under permanently saturated fluvawuent conditions. It is derived from the new sapphire sediment from various compositions and shapes, including organic matter. Pontianak consists of a kind of soil organosol, gray, humus and alluvial with different characteristics. At some points, the thickness of the peat soils reaches up to 1–6 meters, thus causing a poor carrying capacity if it is designated to construct large buildings to make it as a farm. In 1963 by Presidential Decree No. 243, the City entered into the Central Indonesian Time (WITA) zone (GMT+8). But, on January 1, 1988 by Presidential Decree No. 41, West Kalimantan (together with Central Kalimantan) moved back 1 hour from the Central Indonesian Time (WITA) zone, to the Western Indonesian Time (WIB) zone. As such, in 1988 the city of Pontianak celebrated the New Year twice: at 00:00 am on GMT+8 and then 00:00 am on GMT+7. Pontianak features a tropical rainforest climate under the Köppen climate classification (Af) with no distinct seasons at all. The city experiences a large amount of rainfall throughout the year, averaging 3,210 mm (126 in) of precipitation annually. Only in the month of August does the average monthly precipitation fall below 200 mm (7 7⁄8 in). Temperatures are consistent throughout the course of the year, with average high temperatures of 30 °C (86 °F) and average low temperatures of 23 °C (73 °F). The 2010 census enumerated Pontianak's population at 554,764; the latest official estimate (from January 2014) is 573,751. Population is an important element in urban and regional planning. In the funding, the elements of the population among others are needed to calculate the land needs, the needs of facilities and utilities of a region, predict the movement of transportation, and provide an overview of the characteristics of a region. Important aspects of the population in its link with planning are population size, population distribution and population composition. Researchers conducted research on population data in the city of Pontianak during the last 2 years i.e., 2010 - 2015 collected by the Central Bureau of Statistics (BPS) Pontianak by accessing the data online. According to the data obtained, Population Growth Rate in Pontianak City in the period of 1990-2000 is 0.7 percent per year, while for the period 2000-2010 increased to 1.8 percent per year. The population of Pontianak is predominantly ethnic Malays and Chinese. In addition there are also ethnic Dayak, Javanese, Bugis, Madurese, Arabic, Sundanese, Banjar, Batak, Minangkabau and others. Intermarriage between different ethnic groups is not uncommon in Pontianak. One of the main differences compared to other cities is Indonesia is that Pontianak is one of the few cities that has Chinese Indonesian as a majority ethnic group . The Chinese have lived in Pontianak for centuries. Most of the Chinese had already passed by west Borneo from the third century for last sailing rest point before returning to China, and starting from the 7th century a lot of Chinese had started trading the area of west Borneo. Apart from the Chinese traders, in the 17th century, Dutch colonization brought in mass Chinese for mining gold. Most of these Chinese miners originated from the provinces Fujian or Guangdong. The two largest sub-groups of the Pontianak Chinese are the Teochew and Hakka. The Teochew people are from the northeastern coast of Guangdong and Hakka people from the interior of Fujian come to West Kalimantan with the use of the same language. The Hakka people are pioneer groups living in villages and mining areas to work as miners, farming and also becoming small traders. This is in contrast to the Teochew people who prefer to live in urban areas to trade, even now the Teochew people forms the largest ethnic Chinese population in the city of Pontianak and south of Pontianak. The Hakka people mostly live in the northern area of Pontianak. The second largest ethnic group in Pontianak is the Malay people. The Pontianak Malay are one of the early inhabitants of the city. Pontianak was the seat of the Pontianak Sultanate, a great Malay kingdom for centuries. The Malay people mostly live on the bank of the Kapuas River and other rivers in Pontianak. They also live in coastal areas of the city. Most of the Pontianak Malay work as traders, government officials, and in other jobs. Other significant ethnic groups living in Pontianak are the Dayak, Bugis, Madurese and Javanese. Most of the Dayak living in Pontianak are the indigenous / native people of the interior part of West Kalimantan. Some of the Dayak still practice animism, which involves traditional rituals and dances. However, most of the Dayaks have converted to Christianity and are more urbanized. The Bugis, Javanese and Madurese are immigrants from other parts of Indonesia. They migrated to Pontianak due to the Transmigration program enacted by the Dutch and continued during the New Order. Conflicts often erupted between the Madurese and the Dayak. Indonesian is the official language of Pontianak as well as other parts of Indonesia. All road signs and documents issued by the city government should be written in Indonesian.The native language and main lingua franca of the city is Pontianak Malay, a distinct variety of Malay that is closely related to Sarawak Malay in neighbouring Sarawak, Malaysia as well as Johor-Riau Malay in Malaysia, Riau and Riau Islands in Indonesia and Singapore. The main differences between Pontianak Malay and Indonesian is that they use "Kamek" instead of "Kami" and "Kitak" instead of "Kalian". However, many people in the city also use Indonesian as their second language. The other prevailing language in Pontianak is the Chinese language. Several varieties of Chinese exists in Pontianak, the most notably being Teochew and Hakka. Teochew is a variant of Southern Min originated from Guangdong. It is mutually intelligible with Hokkien. 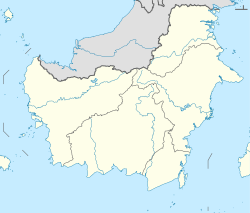 Teochew are mostly spoken in central to the southern part of the city, as well as suburbs south of the city. Hakka are spoken at the northern part of the city, as well as in suburbs north of the city. There are more Teochew speakers then Hakka speakers in Pontianak. These varieties of Chinese has been influenced by other languages such as Malay, Indonesian and other languages. They have incorporated words from Indonesian and other languages. Therefore, original speakers in China may find it difficult communication using Teochew and Hakka with the people from Pontianak. Other Chinese variants such as the Cantonese and Hokkien are also spoken by only small numbers of the population. Other languages such as the Javanese, Madurese, Buginese and different dialects of Dayak are also spoken. The majority of the population are Muslims (63.4%), the rest are Buddhists (20.2%), Catholics (9.1%), Protestants (3.2%), Confucians (1.3%), Hindus (0.1%), and others (0.1%). Most of the Muslims are the Malay, Javanese, Madurese, etc. While most of the people who adheres Buddhism and Confucianism are Chinese Indonesian, many Chinese adhere to Christianity. The Dayak people adheres to either Catholicism or Protestantism, while also incorporating local beliefs. Some of the Dayak also adheres to Kaharingan, a local folk religion. However, the Indonesian government does not recognize Kaharingan as a religion and therefore classifies those who adheres to Kaharingan as Hindus. Several places of worship are located in Pontianak, such as the Jami Mosque of Pontianak, which is considered the great mosque of Pontianak. Located in the complex of the palace of the former Pontianak Sultanate, this mosque is the oldest mosque and is one of the two buildings that witnessed the establishment of the city of Pontianak. At first, this mosque was also used as a center of government for the Sultanate of Pontianak. The name of this mosque was given by Syarif Usman Alkadri who is the son of Sultan Sharif Abdurrahman, who continued the construction of the mosque until it was completed. Other places of worship are the Cathedral of Saint Joseph, Pura Giripati Mulawarman, Vihara Budhisatva Karaniya Metta, and the Pontianak Congregation of West Kalimantan Christian Church. Some of these have existed since the Dutch colonial era, while some are constructed by the Indonesian government. The gross regional domestic product of Pontianak City according to ADHK 2010 business field in 2015 reaches 20.80 trillion rupiah. When compared to 2014, the production volume of goods and services produced in Pontianak City in 2015 increased by 0.96 trillion rupiah, or in other words, this increase in volume indicates that the economy in Pontianak grew by 4.84 percent. Most of Pontianak city's economy relies on industry, agriculture, and trade. The Trade, Hotel and Restaurant Sector is the economic base in Pontianak City for the last three years. This can be seen from the percentage distribution of GDP, where the Big and Retail Trade Sector; Reparation Cars and Motorcycles has the greatest role to total GDP compared to other sectors, which is 18.30 percent. In terms of usage, the value of GDP shows how products of goods and services are used for consumption, investment, or trading purposes with foreign / regional parties. Based on the percentage of GDP, aggregate demand in Pontianak City in 2015 as a whole experienced a growth of 4.84 percent compared to the previous year, where Household Consumer component contributed the most as much as 10.61 trillion rupiahs or by 51 percent. The number of large and medium industrial enterprises in the city of Pontianak that were recorded during 2005 was 34 companies. Labor absorbed by industrial enterprises amounted to 3,300 people consisting of 2,700 production workers and other workers or administration of 600 people. Moderate or major industrial companies located in the District of North Pontianak absorb the largest labor, i.e. 2,952 people. The resulting output value of large industrial enterprises or medium amounted to 1.51 trillion rupiah, where large industrial enterprises or are located in the District of North Pontianak dominated by rubber industry companies, while the smallest output value derived from companies located in the District Pontianak City, worth 2.85 billion Rupiahs. For Gross Value Added (NTB) obtained from all large industrial enterprises / medium in Pontianak City during 2005 amounted to 217.57 billion rupiah and indirect taxes obtained amounted to 462.78 million Rupiah, while the value added at factor Fees earned amounted to 217.10 billion Rupiahs. Total industrial business unit, labor, the value of investments and the value of sales of small industrial centers of the type Industry Results of Agriculture and Forestry (IHPK) shows that the small industrial centers kinds IHPK most is the attempt snack food industry is centered in Sungai Kuhl with labor absorbed as many as 329 people, the value of investment reached 249.50 million and the sales value amounted to 780.50 million. While the water taro woven industry in 2005 only has 16 business units with an investment of 17.5 million amount and value of sales of 110 million Rupiahs located in Tanjung Hulu, Pontianak East. In 2006, the result of crops most were are cassava, rice, yams. Residents also farmed vegetables and aloe vera. Fruit plants that many in the city of Pontianak is jackfruit, banana, and pineapple. Farms in Pontianak consists of cattle (beef and dairy), goats, pigs, and chickens (race and native). In the surrounding areas of Pontianak, the herb Mitragyna Speciosa, known colloquially as kratom, is grown and Pontianak is a major center for exportation of the herb. Trade is one of the rapidly growing business in the city of Pontianak. Modern trade began to develop in 2001 with the founding of Mal Sun Apartments in Dubai City. Modern shopping centers began to be built in various corners of the city, such as Ayani Mega Mall and Mall Pontianak. Various national retail companies starting their business in Pontianak. Based on data from the Pontianak City Education Office, in 2015 Pontianak has 111 kindergartens, 161 elementary schools, 76 junior high schools, 44 high schools, and 29 vocational high schools. Viewed from the side of the Student Ratio to the Teacher, the Primary School Education Level (SD) is the highest level of education ratio that is 22, this means there are about 22 students who become the burden of an elementary school teacher in Pontianak in teaching. School Participation Rate (APS) in Pontianak for 7–12 years age group during the last three years has been around 100 percent, this indicates that almost all citizens aged 7–12 years in Pontianak City have been able to take advantage of existing educational facilities according to age at the level of education. Unlike the 13-15 year age group, school participation in this age group has fluctuated considerably in recent years. However, school participation of children aged 13–15 years continues to increase and close to 100 percent. There are colleges and universities operated by both state institutions as well as private and religious institutions. The University of Tanjung Pura, a state university, was established in Pontianak in 1963. Other universities are maintained by private institutions: Muhammadiyah University, University of Widya Dharma, University of Panca Bhakti, STMIK, (STAIN), POLNEP AKBID St Benedicta, etc. The cultural diversity in Pontianak presents various events throughout the Year. The Tionghua/ Indonesian Chinese celebrates Lunar New Year, Cap Go Meh (Lantern Festival, which falls on the fifteenth day of the first month of lunar calendar), and Cheng Beng (Tomb Sweeping Festival, on first day of the fifth solar term of lunar calendar). The Malay celebrates Idul Fitri, Idul Adha, Maulidur Rasul and The Dayak People celebrates harvest or locally known as Gawai Dayak. These events are usually marked with extravagant cultural parades around the city. The equatorial line passing Pontianak is marked by an Equatorial Monument north of the city center. Between March 21–23 and September 21–23 (the equinoxes), solar culmination can be observed near the Equatorial Monument, where the declination of the Sun will be exactly at 0° at noon (12:00), causing shadows of the Monument and everything nearby to disappear for a few seconds. Yammie "Stirred noodle" [with variety of egg noodle, slim noodle, rice noodle "kwetiau", mini dumpling "Kiaw"
Pontianak is well-connected by road, air, and sea. There are plenty of options for public transport within city and intercity. Supadio International Airport is the main airport of Pontianak and West Kalimantan. Built by the Japanese during World War II, the Indonesian government then developed the airport resulting in its present state. The airport however is not located within the city limits but in Kubu Raya Regency which is 17 km away from the city center. Currently it is the second largest airport in Kalimantan in terms of terminal size, after Sultan Aji Muhammad Sulaiman Airport in Balikpapan. After construction of a new modern terminal to replace the old and overutilised terminal, the airport currently has a capacity of 3.8 million passengers annually, double the previous terminal's capacity. The airport served direct domestic flights to other major cities in Indonesia, mostly in Java and Kalimantan. Moreover, the airport also served international flights to some cities in Malaysia, such as Kuala Lumpur and Kuching. The airport is expected to be expanded again in the future to cater to the increasing number of passengers travelling to and from Pontianak. Currently, the only ways to get to the airport are by taxi, private cars or using the DAMRI bus. The Port of Pontianak, located on the banks of the Kapuas River, is the economic pulse and connects an area of 146.8 thousand km2 in West Kalimantan Province. The size of this area is comparable to the island of Java plus the island of Madura combined. Main cities and towns served include Pontianak, Sintete, Sambas, Sintang, Sanggau, Kapuas, Hulu, Telok Air, Ketapang and Singkawang. There are two port areas under the auspices of PT. Pelindo II (Persero), namely: Port of Sintete and Ketapang Port. This port's hinterland is dominated by plantations, the forestry sector, the mining sector and raw materials processing industry. To cater for increased economic activity in this region, Pelindo II has operated the container terminal for Pontianak port which has been equipped with two container cranes and various modern equipment that can provide optimal support for loading and unloading activities in the region. The Pontianak Crossing Port is the main passenger port. It allows ferry connection to other cities in Indonesia such as Jakarta, Surabaya, Medan, Batam, etc. The port currently does not serve international destinations such as Singapore and Malaysia,. Pontianak lies on the Trans Kalimantan Highway. The highway allows Pontianak to be connected to other major cities in Kalimantan such as Palangka Raya, Banjarmasin and Samarinda. Moreover, it is possible to travel to East Malaysia and Brunei using the Trans-Kalimantan Highway. The distance from Pontianak to Kuching in Sarawak, Malaysia is about 340 km and takes about 6 hours 30 minutes. The distance from Pontianak to Bandar Seri Begawan in Brunei is about 1,100 km and takes about 18 hours. All people travelling to either Malaysia or Brunei must pass through the Entikong border checkpoint, the main Indonesian border checkpoint in Kalimantan. Pontianak currently does not have a toll road. However, it has been proposed to build a highway connecting Pontianak with Singkawang, and Pontianak to the Entikong border checkpoint near Malaysia. ^ "Peringatan". sp2010.bps.go.id. Retrieved 15 February 2018. Wikimedia Commons has media related to Pontianak.